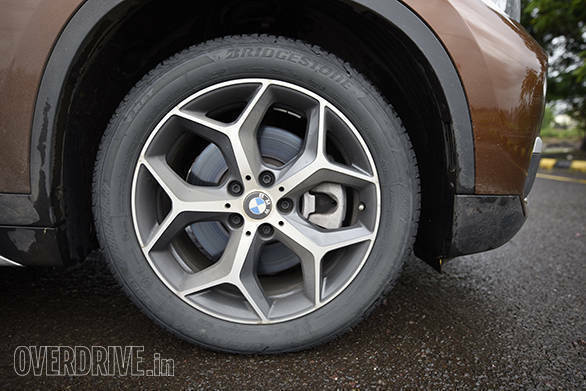 If there was one defining characteristic of the first-generation BMW X1, it was a driver's car - it was nimble, handled great and very involving to drive. But was it a people's car? Not in the strictest sense - it was stiff but not the most comfortable in the segment or not the most spacious either. But over the past couple of years, BMW has started to make a change in direction. The X1 is now more comfortable and spacious and rides more like a luxury car should. But does this change in strategy make it better equipped to take on its other German rivals like the Audi Q3 and the Mercedes-Benz GLA? 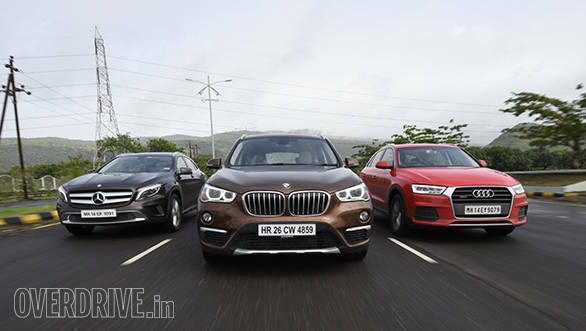 The new BMW X1 scores the highest points here for looking most like an SUV. It is considerably larger than the previous-generation car and gets its SUV stance from the broad face, the neat creases and bulges and the high roof. Adding to that are the design cues - the pinched window line and the angled tailgate - which are borrowed from the BMW X5. There is a sense of ruggedness too, thanks to the simple and neat plastic cladding running around the bottom edges of the car and the faux skid plates. My favourite bit, however, has got to be those sleek 18-inch wheels. The Audi Q3 meanwhile stands at second. While it isn't small at 4.38m in length and 1.8m in width, its sloping tailgate and comparatively sleek bonnet rob some of its presence. Its styling is also quite simple, and while that might work well with some, it comes off as a bit too conservative after looking at the new X1. What adds a nice touch though are the sleek DRLs and LED tail lights. The Mercedes-Benz GLA is certainly the most sculpted car here, with lots of neat creases and strong character lines running all around. That, along with the plastic cladding and faux skid plates, gives the GLA a very interesting and muscular design. However, its stance lets the GLA down. While it does have decent ground clearance, the narrow window line and low roof make it look almost like a hatchback on stilts. And this is the same feeling when you step inside. As I got behind the wheel of the GLA, it immediately reminded me of the A-Class  low and rather small. The other two feel like a typical SUV with a higher seating position and a better view of the road. The GLA also had the least rear knee room despite having the longest wheelbase of 2,699mm. The BMW X1 was surprisingly very spacious while the Q3 sat in the middle with a decent amount of rear knee room. The X1 also has the largest boot, while the GLA has the smallest one. And to make things worse, the Merc's space saver occupies most of the space. Fortunately for us, like Audi, BMW has started to offer a space saver that is neatly stowed away on all their cars in India. Among the three cars, the GLA's dashboard layout is the most simplistic. While that isn't a bad thing, the GLA does also have the worst infotainment display unit here. The interface isn't very user friendly and simply doesn't feel like it belongs to a Mercedes-Benz. However, that should be fixed with the GLA's update which is due very soon. The Audi Q3 too has simple layout but has sporty touches like the aluminium dashboard trims and the Quattro badging. However, the X1's interior somehow seems a bit more appealing. This could be because it is newer while the Q3's layout is starting to look a bit old. It gets a neat wooden trim running horizontally across the dashboard, while most of the other consoles are finished with piano black trims. 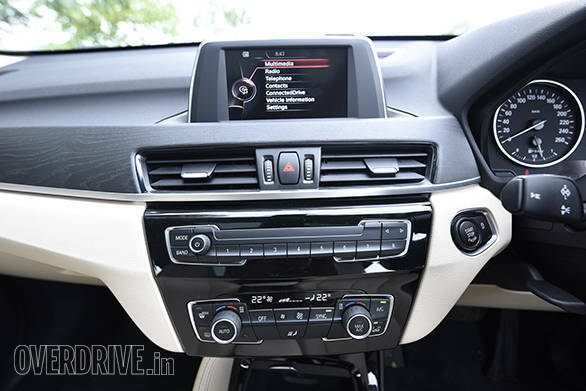 While the Q3 and X1 have good infotainment displays, the X1's interface did seem easier to operate because the rotary dial was located near the gear lever instead of on the centre console like in the Q3. However, the tiny display unit in the X1's instrument cluster offered the least information here. The X1 runs a 2.0-litre turbo-diesel engine and 8-speed transmission from the Mini Countryman. It's the most powerful engine here with 190PS of power and 400Nm of torque. 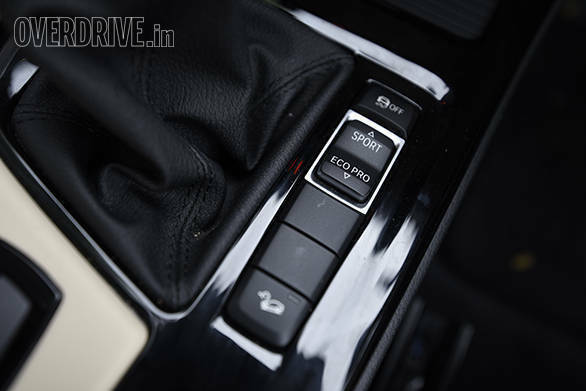 The engine can be set to drive in one of three modes  Sport, Comfort and EcoPro. Sport mode immediately increases throttle response and livens up the engine, while Comfort optimises it for a more relaxed drive. Although the X1's diesel motor is pretty refined with hardly any noise seeping into the cabin, it's the Audi Q3 that takes the cake in terms of refinement. It too runs a 2.0-litre turbo diesel but produces less power and torque at 177PS and 380Nm. The Q3's power delivery is not as linear as the Beemer's, and this makes it feel faster. However, it's the X1 that hits the ton quicker with a time of 8.5 seconds and that too under wet conditions. 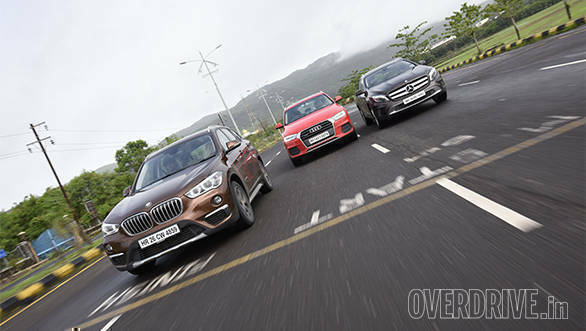 The Q3 managed to get from 0-100kmph in 8.8 seconds under the same conditions, while the Mercedes-Benz again falls behind here with 9.6 seconds on the clock. The GLA also has the least refined engine here, and despite being larger the 2.1-litre motor puts out just 136PS and 300Nm. While the engine's power delivery is nice and linear, it does climb up the rev range much quicker than the other two, which requires more frequent gear changes. This again highlights the lag in the shift times. Although the GLA uses a dual-clutch transmission like the Q3, the 7-speed unit definitely upshifts slower and doesn't downshift as aggressively. The 7-speed unit in the Q3, however, is near seamless and marginally better than the X1's new Aisin unit. Another aspect where the Q3 scores higher than the X1 and GLA is with respect to efficiency, but just by a tiny margin. The updated engine is now a bit more frugal than before and delivers a decent 12.6kmpl in the city and 19.2kmpl on the highway. The X1 on the other hand returned an average of 12.1kmpl in the city and 18.4kmpl on the highway, while the GLA gave us 10.9kmpl in town and 18.4 on the highway. The Mercedes-Benz GLA is definitely the best corner carver here. It turns in and holds its line in a car-like manner, with hardly any body roll. The steering is well weighted too, and while that might be a bit of an issue in the city, it works really well at higher speeds. However, the GLA misses out on an all-wheel drive system, which would have gone a long way to improve cornering grip. The MFA platform, which the GLA is based on, has changed customers' perception of Mercedes from a comfort-oriented brand to a more driver-focused one. However, all of this comes at the cost of the car's ride quality. The GLA's chassis is rather stiffly set-up. Although the car has been softened up for Indian conditions, the ride quality is still pretty bumpy. There's a bit of role reversal here as Mercedes and BMW seem to be taking each others' approach at making a car. Unlike the first-generation X1, the new one is a lot more comfortable with far better ride quality, thanks to a less rigid chassis. It absorbs potholes with no complaints at all and doesn't bounce around too much over undulations on the highway. This obviously means that there is comparatively more body roll, making it less driver focused. But that doesn't mean that the X1's handling is bad. The amount of roll isn't unnerving at all. It also grips very well around corners, thanks to the newly included all-wheel drive system and the responsive steering. Essentially, the X1 offers an ideal balance between sporty and comfortable. In comparison, the Q3's grip levels are equally good, thanks to the Quattro system, while body roll is lesser too. 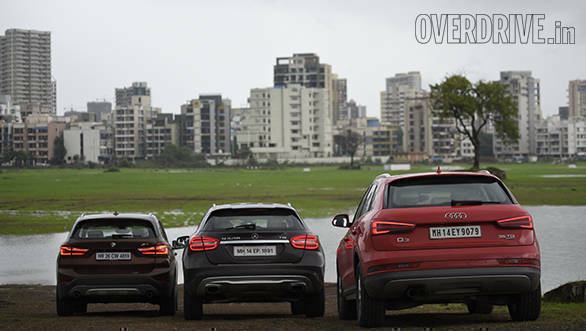 While the Q3's dynamics are really good, its steering lets it down. The electric unit doesn't offer as much feedback and isn't as precise as the GLA or the X1. Although it does weigh up at higher speeds in Dynamic mode, it still doesn't feel as direct as others. That said, the Q3's light steering is the most comfortable for driving around the city. The ride quality, however, does feel a bit stiff on broken roads. The new BMW X1 has come a long way from the previous-generation car in pretty much every measure. Of course, there are the BMW loyalists who won't be too happy about the brand's change in direction. However, this is the type of car that most people in the market are looking for - a comfortable, capable SUV they can use every day. The Audi Q3 will serve this purpose just as well. However, at Rs 50.22 lakh on-road in Mumbai, it's around Rs 3.7 lakh more expensive than the X1. Although it's just as capable, the Q3 has been around for a while now and an update seems imminent. 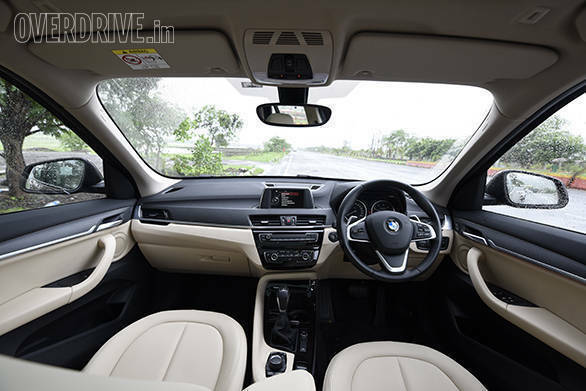 What makes the BMW more appealing is that it feels fresh and certainly has a lot more space than the Q3. 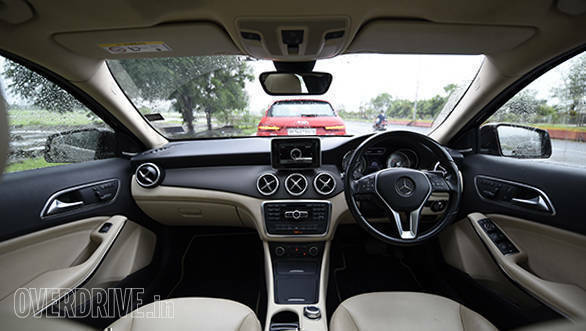 The Mercedes-Benz GLA is the least expensive buy here at Rs 42.63 lakh. However, it doesn't fit very well in this segment because it's not as practical as the other cars and is due for a much needed update. The BMW is the winner here because it offers the perfect balance between practicality and "sheer driving pleasure". Because the Q3 is damn close to that, it could make for a very interesting comparison once the next-gen model is out.